We wanted to take this opportunity to express our gratitude to you and your staff at Premier Data for the hard work you do in maintaining our IT network particularly with the recent attack (virus) on our server. You and your staff were on it immediately and were willing to go the extra mile in getting it resolved quickly with minor down time and no loss of data for our company. It is always good to know you have a reliable and knowledgeable IT team and we wanted you to know we appreciate all that Premier Data does for us. I would like to take a moment and thank you and Premiere Data for the personal and professional service and attention you have given to us through the years. This last server migration you did for our new manufacturing facility in Eunice was outstanding, despite the challenges of the “tight” schedule we put your team under. From a total systems integration, security and network administration perspective involving 30 highly sophisticated CNC machining centers and 30 CAD workstations, Premier Data has truly allowed Precision Cutting to “Rethink Impossible”. Thank you and the team at Premier Data for allowing me to have peace of mind that our networks remain safe and reliable. 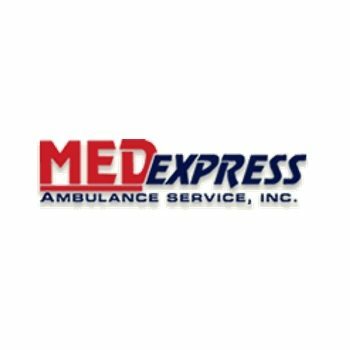 MedExpress Ambulance Service has been so pleased with our IT services since we began doing business with Premier Data. We had multiple issues which had formulated over time and we had also been thru multiple IT reps, none of which addressed our needs. Our partnership with Premier has put us on the right track to correct our existing issues, as well as to plan for future growth and expansion. Premier’s response in times of crisis has been immediate and exemplary. We now feel confident in our plan forward and know that our IT needs will be met in a timely and efficient manner.